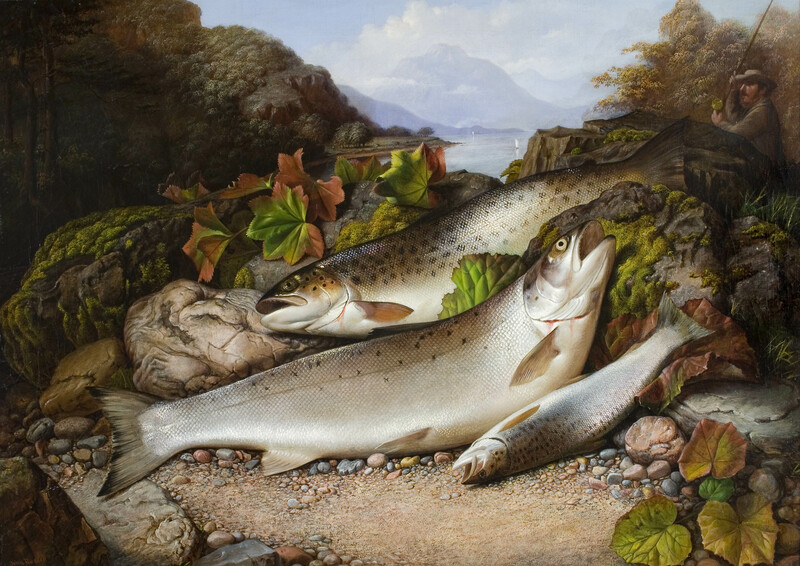 The National Sporting Library & Museum is pleased to announce its first public fly-fishing event, Hooked! From before the time of Izaak Walton’s The Compleat Angler, fly-fishing has captured the hearts and imaginations of countless individuals. Half sport, half theology, angling stands the test of time and remains one of the most popular turf and field sports. Despite-- and perhaps because of-- our changing landscapes and increasingly digital age, experts, amateurs, and everyone in between are drawn to the lure of angling. Come be a part of the legacy and celebrate the changing tides and enduring bonds of fly-fishing! Jimmy Aliff Orvis Leesburg (VA): Raised in North Carolina, Jimmy grew up fishing local neighborhood ponds and lakes for Bass and Bream. The first time he saw Fly fishing was on a Saturday morning watching ESPN. Jimmy was self-taught at around the age of 12 until he moved to Virginia and learned from Paul Kearney. Jimmy has worked in the Fly Fishing/Outdoors retail industry for 14 years and has fished all over for just about everything. He is a proud supporter of Trout Unlimited, Project Healing Waters, Casting for Recovery and many other fishing and hunting organizations. 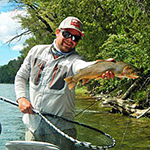 Cody Barber Snake River Angler (WY): Cody is a passionate fly fishing guide that works and operates out of Jackson Hole, Wyoming. Whether it be a new angler that needs a crash course in casting, or an experienced angler that needs slight adjustments in their approach, Cody always comes back to his mantra, “If we are having fun, the fish will come.” Every day that he puts his boat on the water he treats it as an opportunity to create one of the most memorable experiences an individual can have. Cody adapts his teaching styles to match the learning preferences of each unique client. In addition to fishing, Cody has been involved in outdoor education since 2004 in areas such as mountaineering, horsemanship, and skiing. 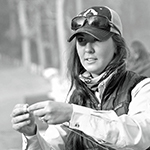 Jessica Callihan Project Healing Waters (TN): Jessica Callihan grew up fishing on her family's dairy farm in Southern Michigan but didn't discover fly fishing until after she was injured while serving on active duty in the Navy. After recovering from many surgeries, a group called Project Healing Waters found her and taught her how to tie flies, cast a rod, and fish with her disabilities. She slowly transitioned from a participant to an Ambassador for Project Healing Waters, which led her to be a Founding Member of Able Women. Able Women is an initiative dedicated to changing the definition of a woman to one that is empowered by strength, confidence, passion, and dedication - things Jessica found through fly fishing and being outdoors. When she is not traveling giving speeches or teaching the art of fly fishing, Jessica may be found in her art studio where she recreates memories of being on the water and the awe inspiring places her life has led her. 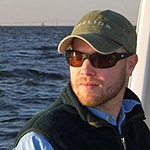 Scott Osborne The Albemarle Angler (VA): Scott grew up in the Blue Ridge Mountains of Nelson County, VA where he started fly fishing, snowboarding, hiking, floating rivers and enjoying all things outdoors. Scott graduated from the University of Virginia in 2009 with degrees in Anthropology and Environmental Science. He started as a fly fishing guide and travel ambassador for The Albemarle Angler and has been teaching and guiding anglers for 5 years in Virginia- chasing trout, smallmouth bass, and musky. He stays connected to the mountains and streams through stints out west in Montana and Colorado, and leads trips to Belize, Idaho, Tennessee, and Cuba; with Brazil as a new venture this coming year. Looking towards the future, Scott will be part of a new project that marries the world of fly fishing and leadership development, which will begin in the latter part of 2017. 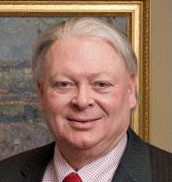 Alan Short Orvis Leesburg (VA): Alan M. Short is a Virginia native, born and raised in Fairfax County. His fly fishing odyssey started at around eleven years of age when his brother found a fly rod at a private lake near Quantico. 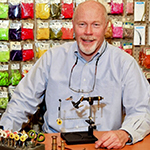 In 1979, Alan enrolled in a fly-tying class offered through Fairfax County and joined Trout Unlimited. Alan has worked for Hudson Trail Outfitters, Angler’s Lie, Urban Angler, and The Orvis Company. His favorite areas to fish are Central Pennsylvania and the Greater Yellowstone area, specifically the Southeast and Upper Snake Region of Idaho. When not fishing, Alan can be found with his best friend – Lucas, a ten-year-old Golden Retriever. Michael Stanfield Moderator, Middleburg (VA): Born and raised in a small town in northern Georgia, Michael grew up in fishing in local ponds and lakes for bass and bream, shooting quail after school with his two gun dogs, and riding and racing quarter horses. Michael and his wife, Nadia, moved to Middleburg in 1991, and seem to be here “for the duration”. Today Michael spends about half of his time at the office of a business he founded 20 years ago, and the rest golfing, shooting with his two Labradors-Argos and Hektor-, and fishing. 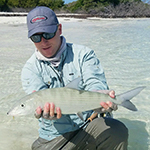 During the last seven months Michael has pursued trout, golden dorado, bone fish, and salmon in Wyoming, Argentina, Exuma, and Scotland. Orvis Leesburg, The Albemarle Angler, Country Spirit magazine, Mossy Creek Fly Fishing, Snake River Angler, The Rapidan Chapter of Trout Unlimited, Monroe and Crocker, P.C.